Hillsong advertises how your church can be Babylonian like them? Home › Hillsong › Hillsong advertises how your church can be Babylonian like them? 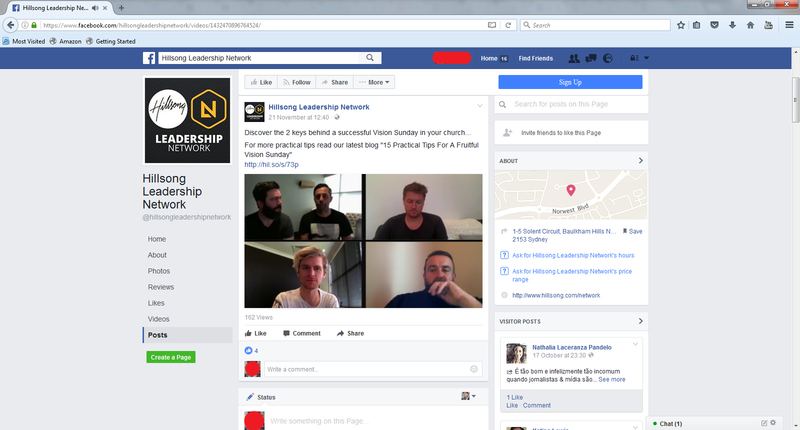 Hillsong has created a Facebook page for their Hillsong Leadership Network. On this Facebook wall, they advertise material to give the impression they are a very successful Christian organisation and church. However, even on social media outlets, Hillsong expose how they fail to grasp any clue what it means to be a Christian, how a Christian leader is supposed to minister or even how to read the bible. Below are four Hillsong pastors all agreeing how Hillsong built their church on the successful strategies of pagan Babylon. You know, the people that built the Tower of Babel in opposition to God? Hillsong wants you to model your church on Babylonian’s downfall. The Babylon in Revelations whose “sins are heaped high as heaven” echo the same Babylon that wanted to build “a city and a tower with its top in the heavens” in Genesis 11. Both wanted to “make a name for [them]selves” . But how is Babylon any different to Hillsong? They want to make a name for themselves, both boast in their own strength and both rely on the works of men to raise up their earthly empires. Remember: the snippet below is what Hillsong chose to upload and advertise to Christians everywhere about their success. Hillsong is wanting YOU to partake in their Babylonian ways. “In Habakkuk 2:2 it says, ‘write the vision down and make it clear and those who read it can run with it’. I think there are two aspects of ‘Vision Sunday’, there’s the aspect that the creative team bring, they make the vision clear. But then, if no-one’s running with it, it doesn’t matter how clear it is. So I think from the pastoring point of view, you’ve got to make sure people are going to run with the vision and cause at the end of the day, it’s the outworking of that clarity of vision, the outworking of people that God actually uses to bring it to pass. So I would say the first thing you have to do with Vision Sunday is just make sure that your staff, your team, weather their volunteer or paid, have 100% ownership of that. And so the Tower of Babel, it says they had one language, one speech and the way God stopped the work at the Tower of Babel, He just changed their language, so now they were all speaking something different. And what’s interesting for us, is that come Vision Sunday our speech across every department, every ministry, this year was ‘new roads new rivers’, no one was saying something different, no one was running with ‘pioneer’ again, and I think the key is you have to have everyone having the same speech. Hillsong Pastor Sam Di Mauro: “In Habakkuk 2:2 it says, ‘write the vision down and make it clear and those who read it can run with it’. I think there are two aspects of ‘Vision Sunday’, there’s the aspect that the creative team bring, they make the vision clear. But then, if no-one’s running with it, it doesn’t matter how clear it is.